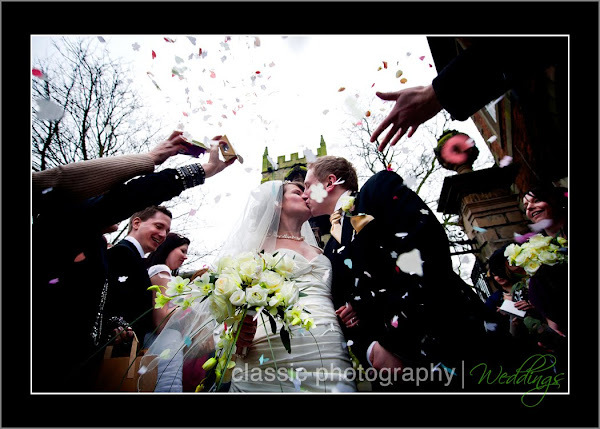 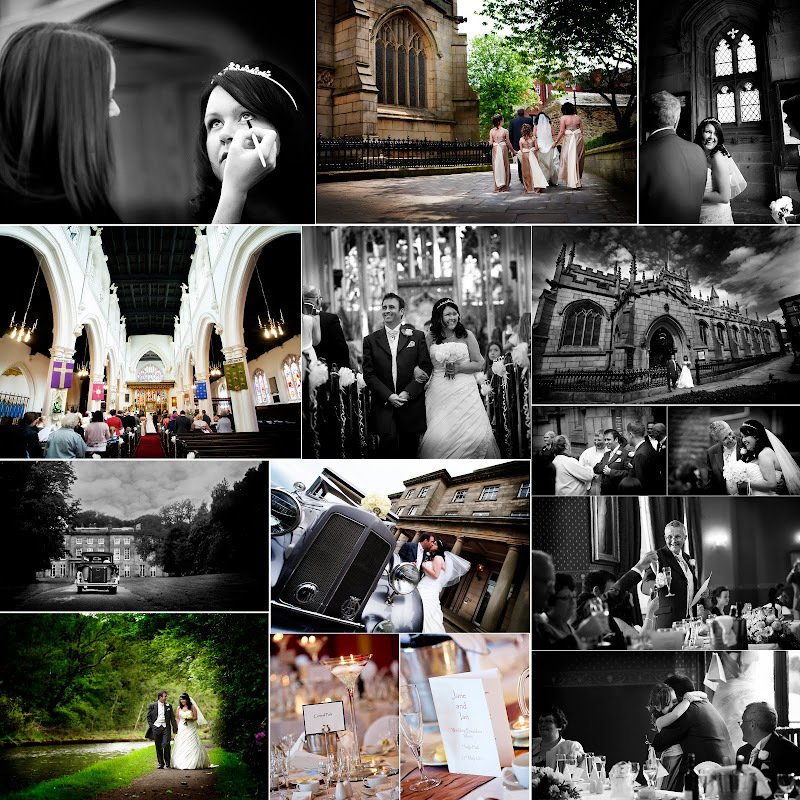 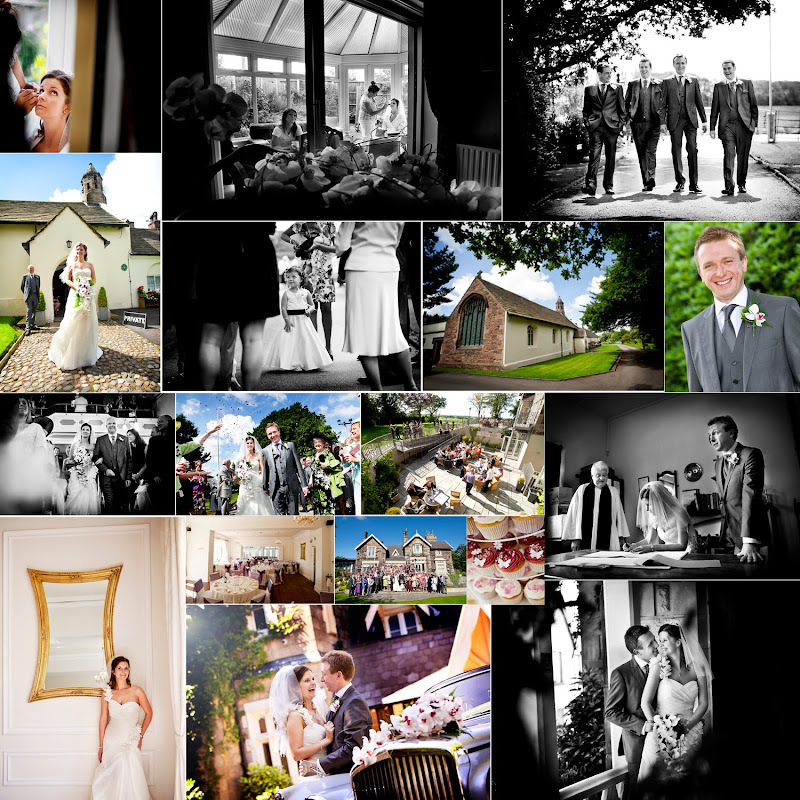 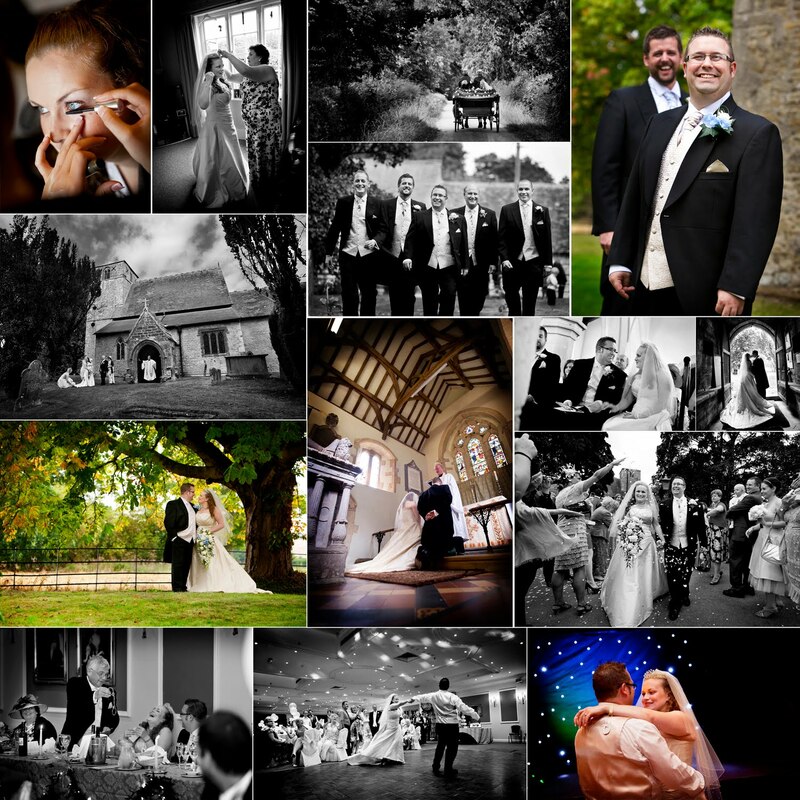 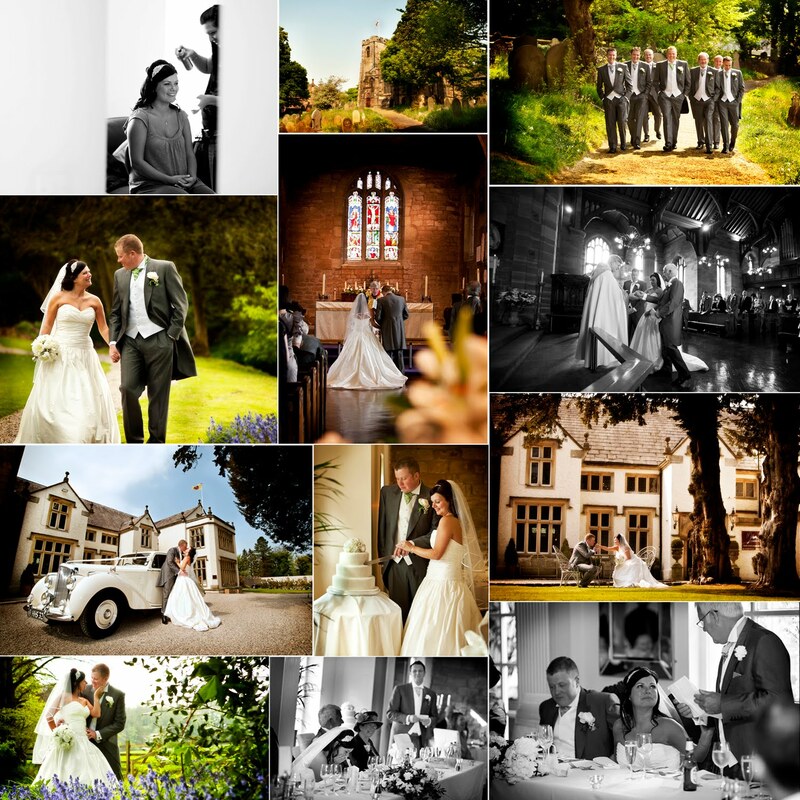 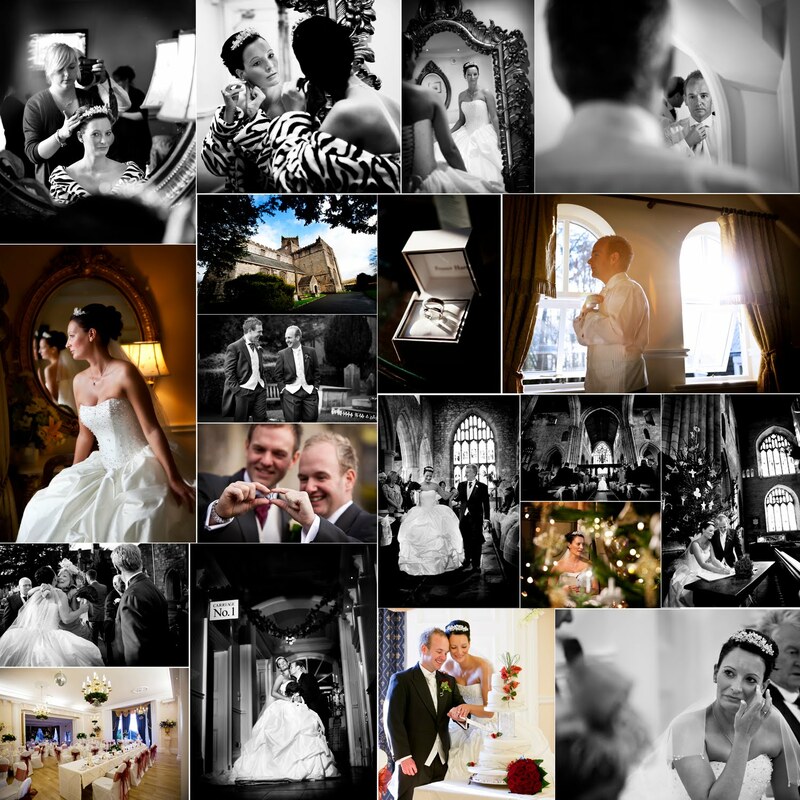 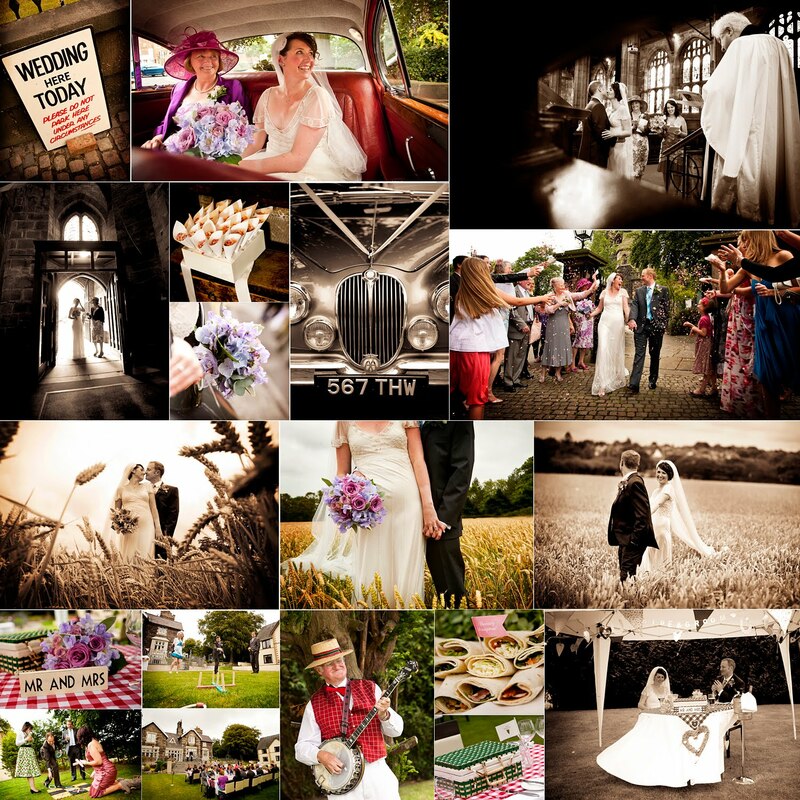 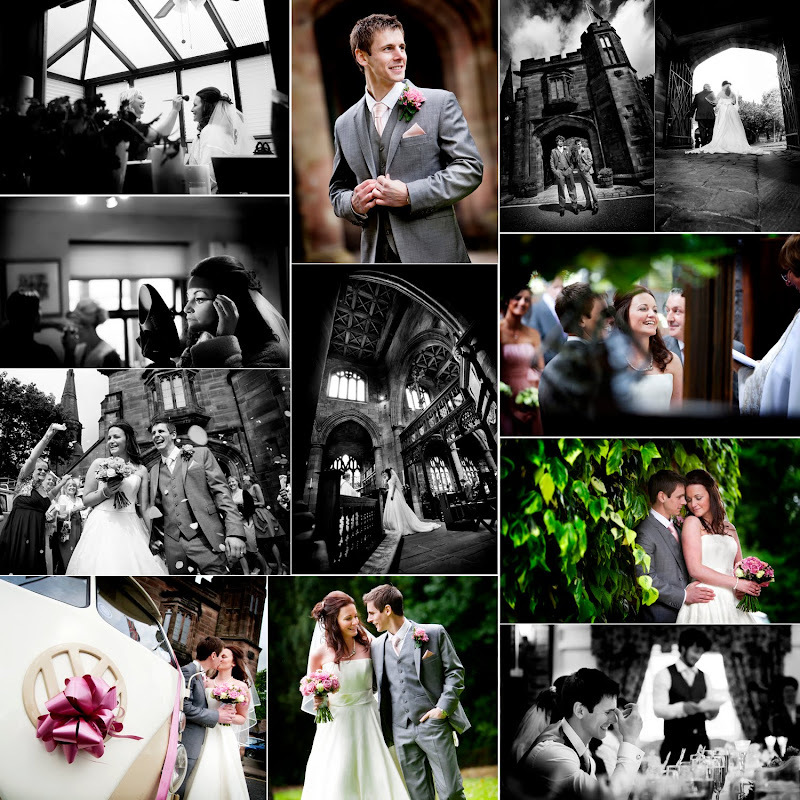 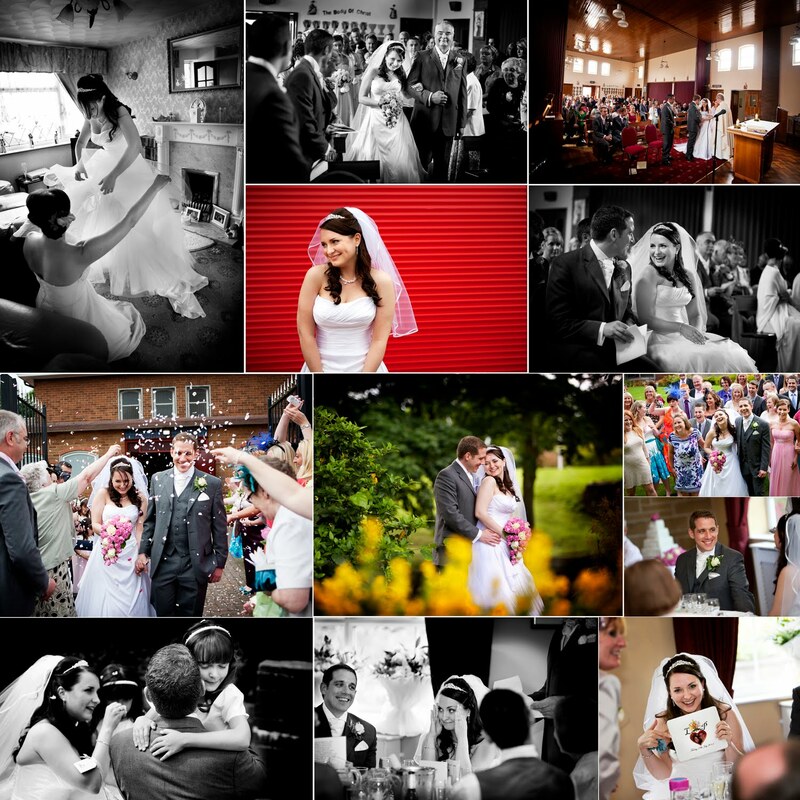 Well its always a strange feeling as I finish shooting our last wedding of 2011, I start to remember all the things that made this year special I suppose it's watching all the tv programmes that show the year that was. So as I look through the year on the blog so many memories come back.... the great venues,celebrations and not forgetting new friends. 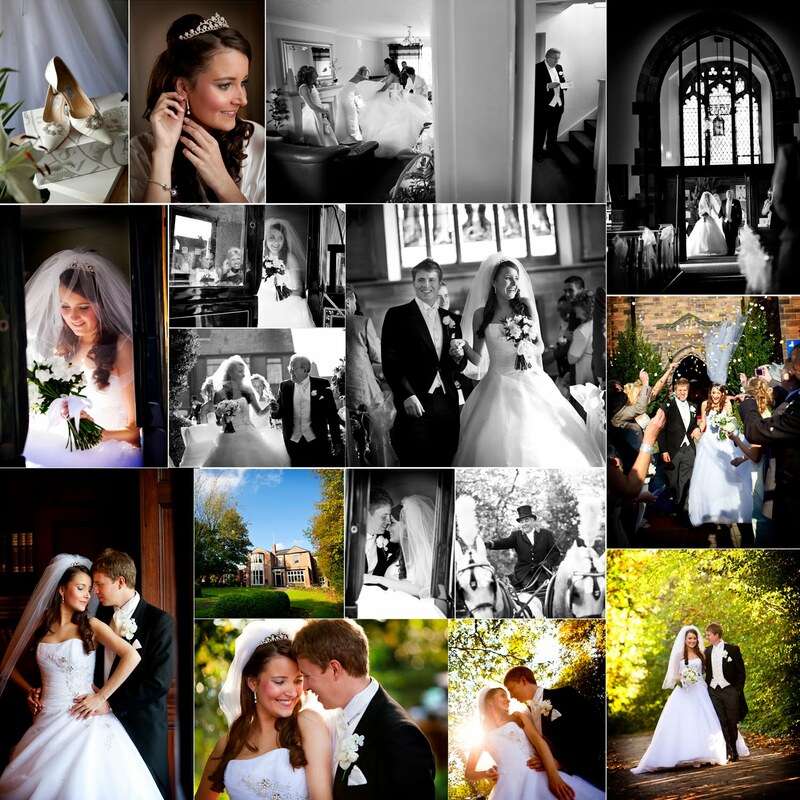 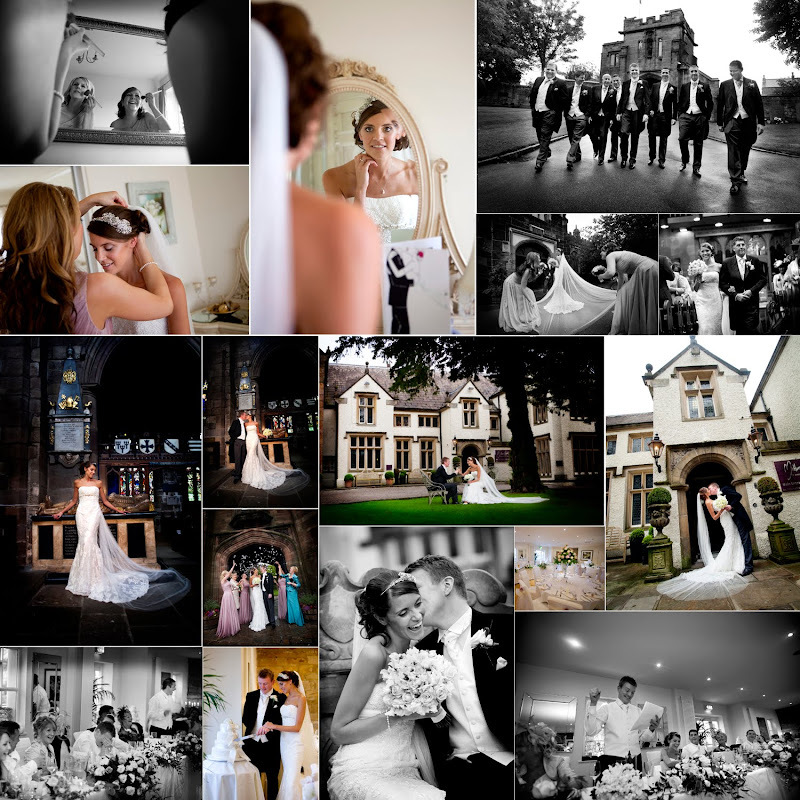 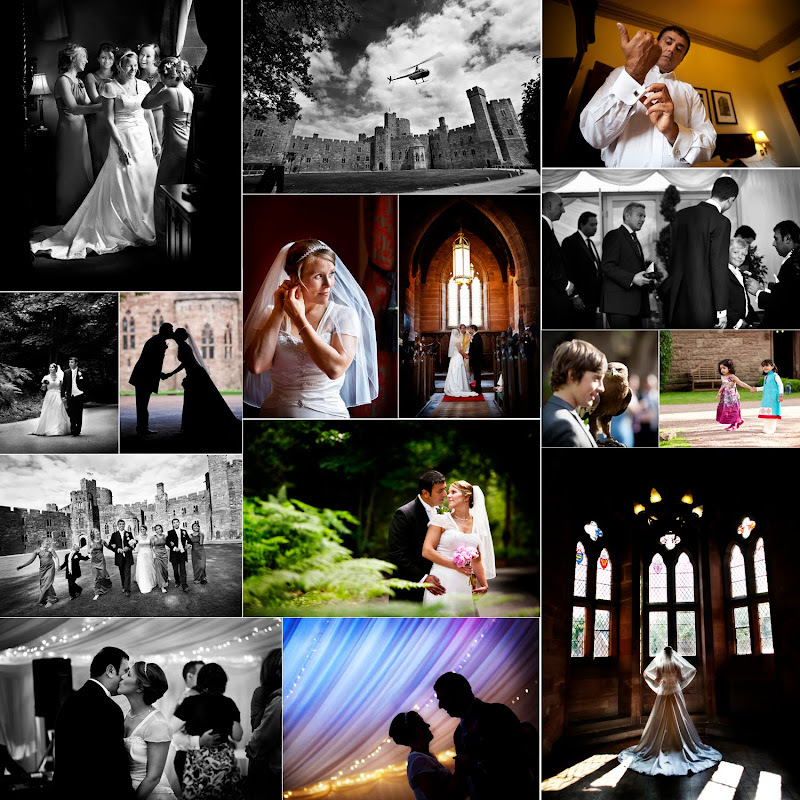 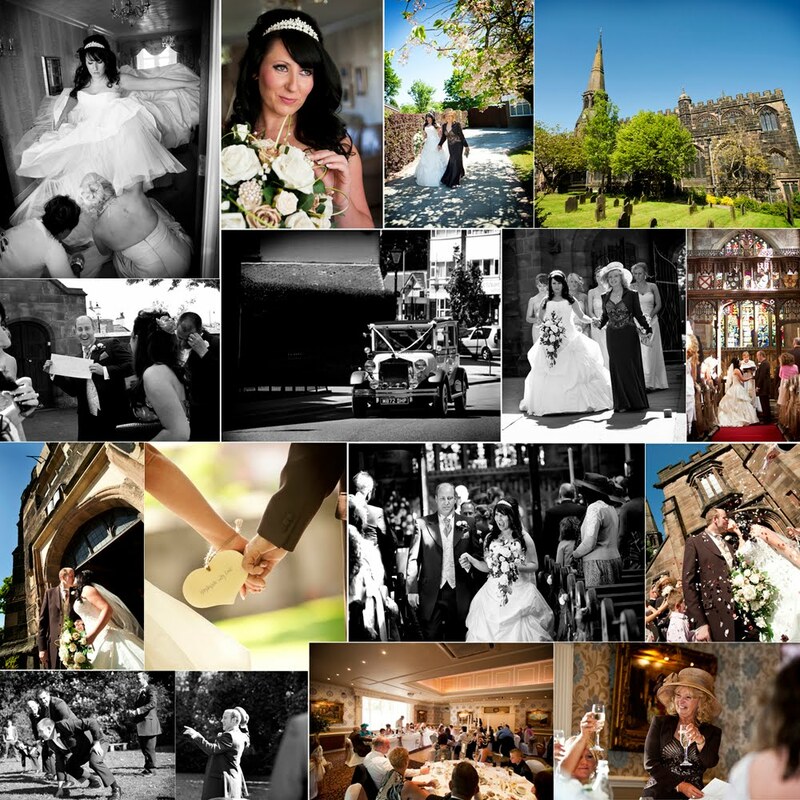 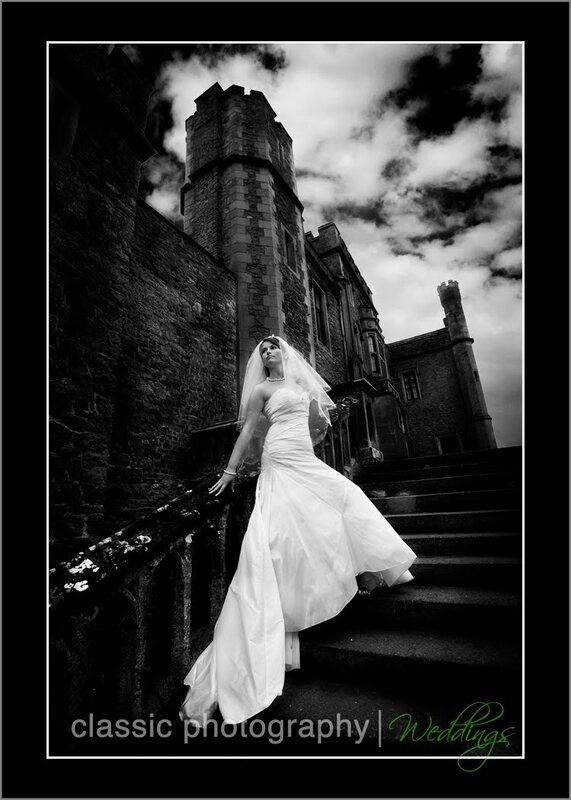 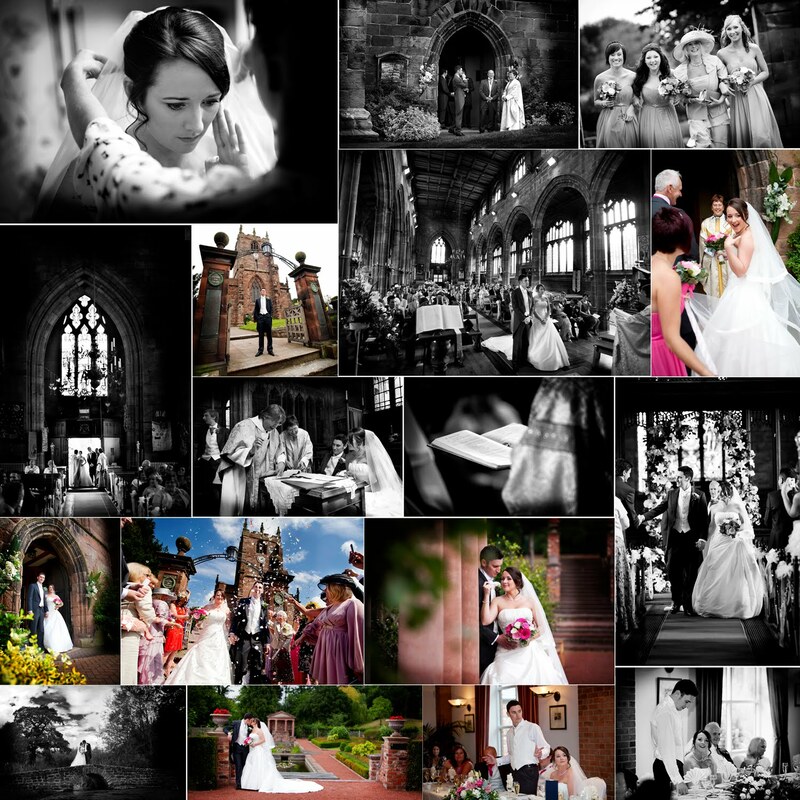 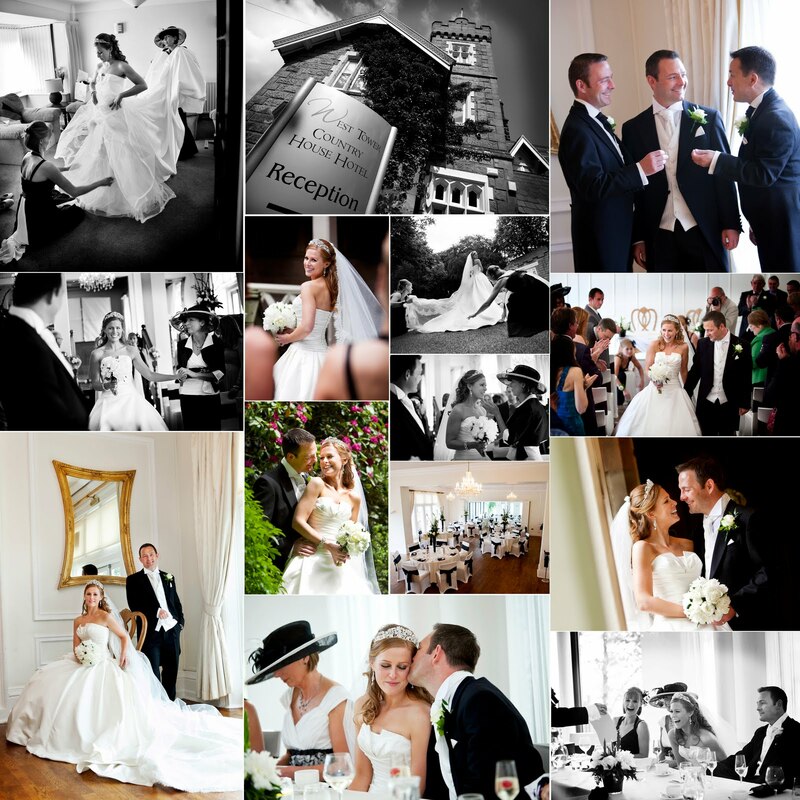 I think the high point has to be the awards, being awarded Professional Wedding Photographer of the year for the fourth year running was a huge honour, to be applauded by clients is what we work to achieve but to be applauded by your fellow professionals IS the ultimate goal and as the list of stories of poor wedding photography and couples left upset grows then it makes the late nights and missed family life all worth while when not only our clients are recommending our services but our industry and fellow professionals are asking "what's our secret". 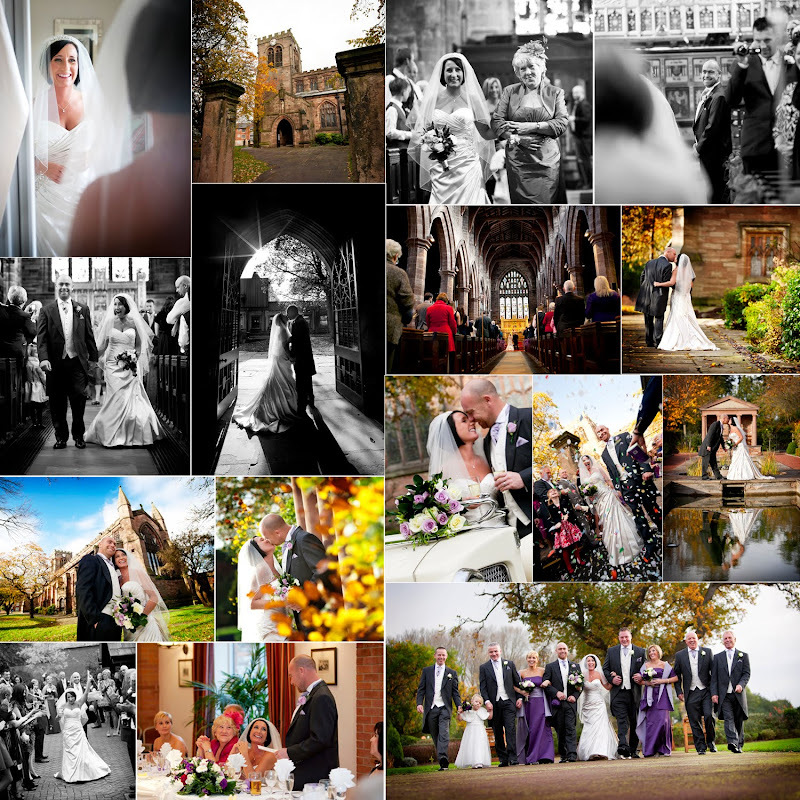 We had the pleasure of shooting nearly 50 weddings this year (10 more than I said I would) with clients from all over the world, different styles from outdoor garden parties to grand banquets but all have been the same.... Fun! 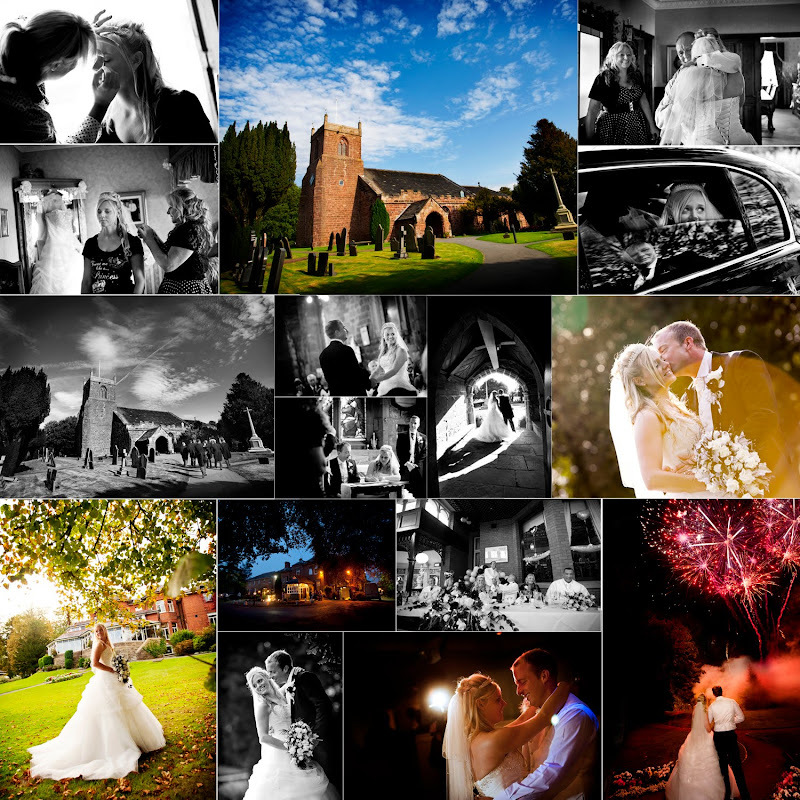 So what of 2012, well already the wheels are turning, we have some great weddings in more new venues and more challenges & opportunities with our industry partners that really excite me (more info to follow in the new year) but most of all I am looking forward to taking my photography further & blogging more including "behind the scenes" showing how & why we do what we do in our new photo diary. 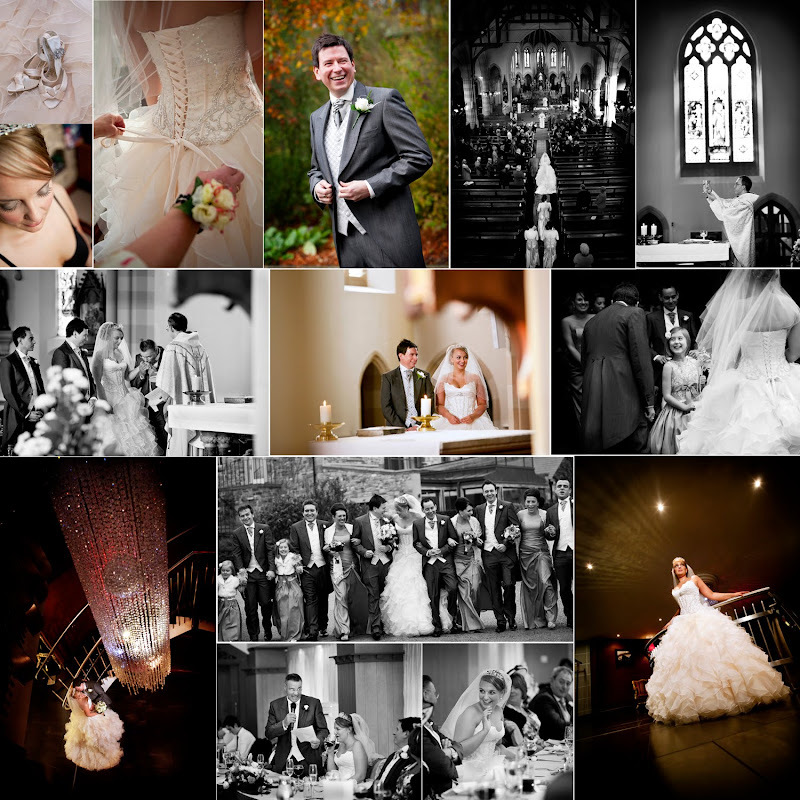 So goodbye to 2011... Hello to 2012 and a happy new year to you all. 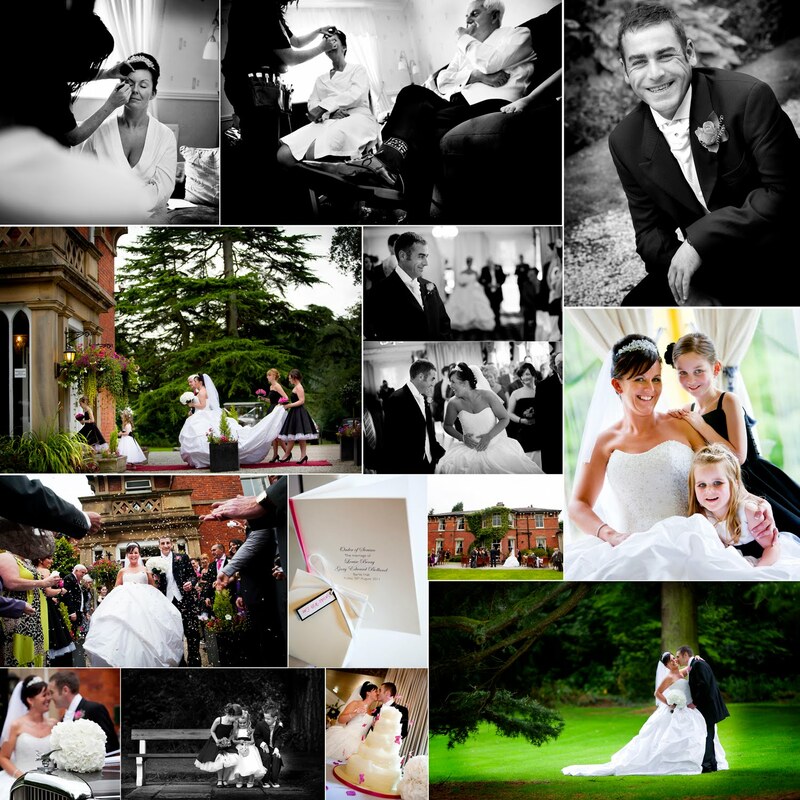 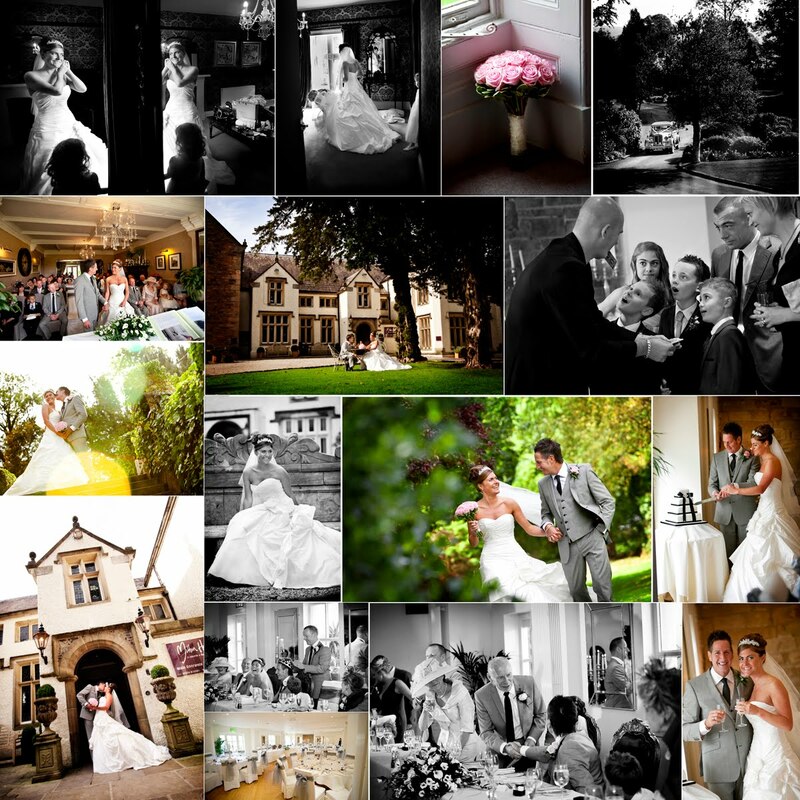 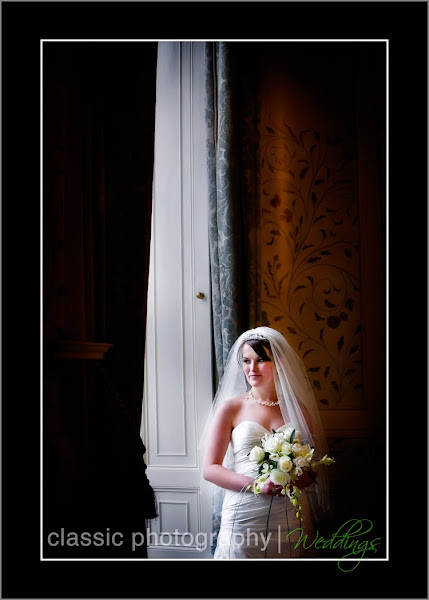 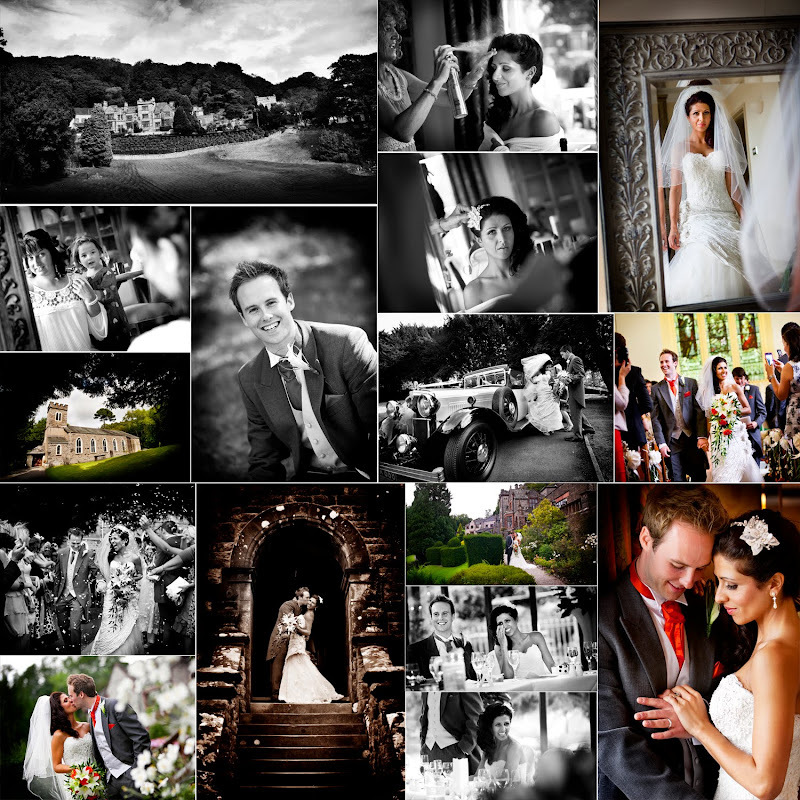 Wedding Photography at The Grange Hotel, Grange. 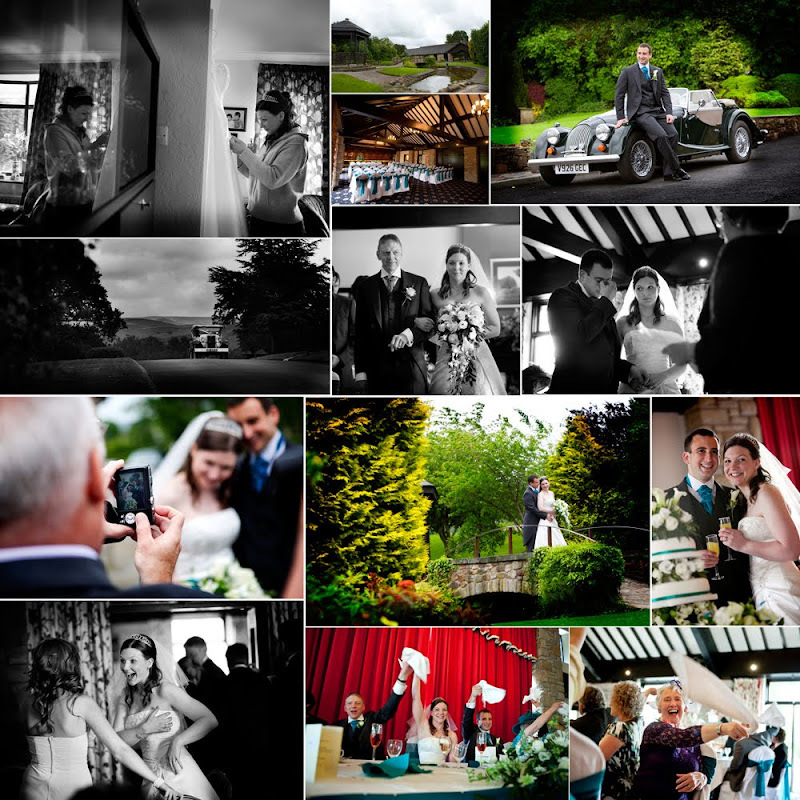 Well it’s the time of year that everybody gets excited for Christmas but we had something different to get excited about, Carl & Lisa wedding at The Grange Hotel in Grange Over Sands in one of my favourite parts of the world the Lake District. 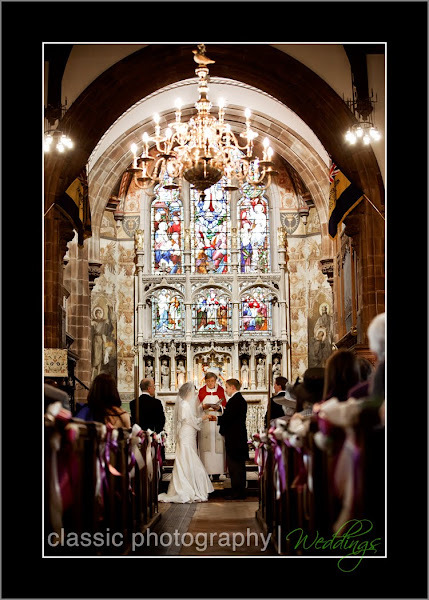 Saying that we weren’t too excited as we left for the hotel… it snowed,& snowed & snowed at one point we thought we wouldn’t get there but as we approached Grange the snow disappeared & out came the sun and out it stayed for our time in the Lakes. Jane & I had the pleasure of spending the night before Carl & Lisa wedding at the hotel with their family and guests and what a friendly bunch. The ceremony was held at Cartmel Priory with a picturesque drive back to the hotel for mulled wine. 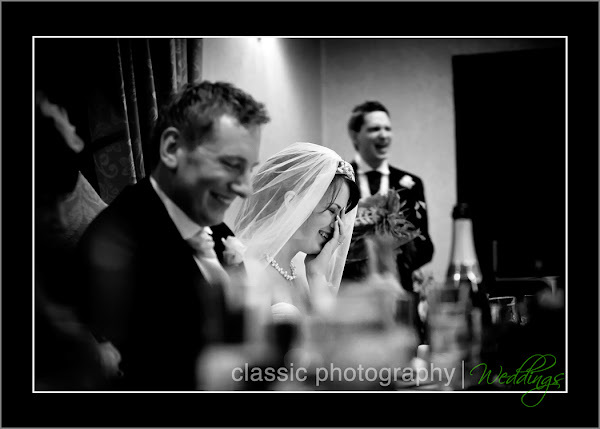 Carl & Lisa along with their families had planned the wedding for two years and as the fun, laughter & tears of emotion filled the day I have to say it was worth the wait. 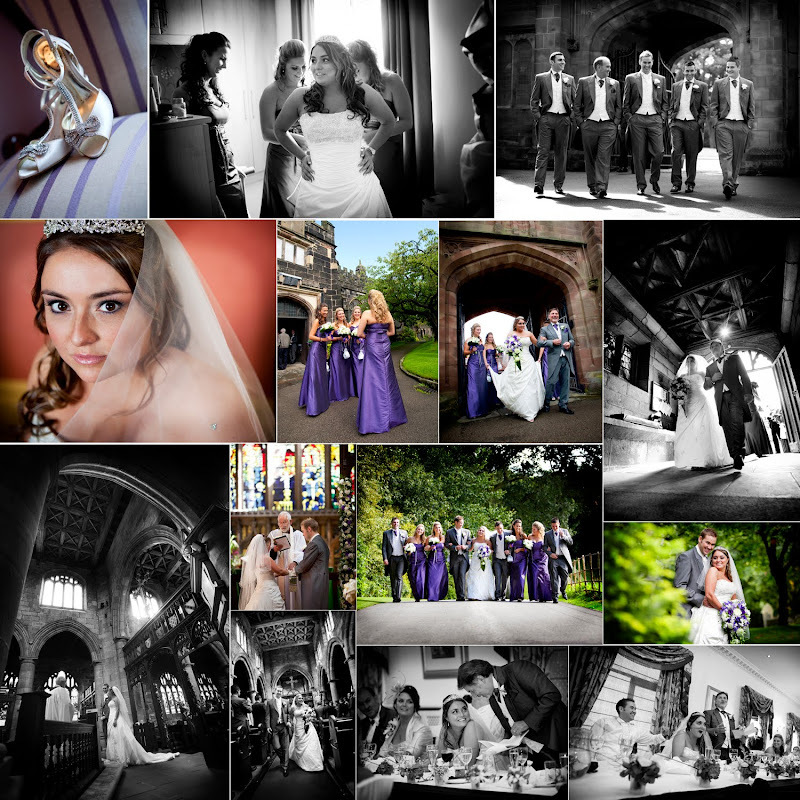 When Nadim & Hayley walked out of the chapel as man & Wife there was a huge wave of happiness & Love, this wedding had been quite a challenge to organise not only with Hayley living in America & so many activities on the day... but then throw in a fire & possibly changing everything then you can understand why everybody was smiling. 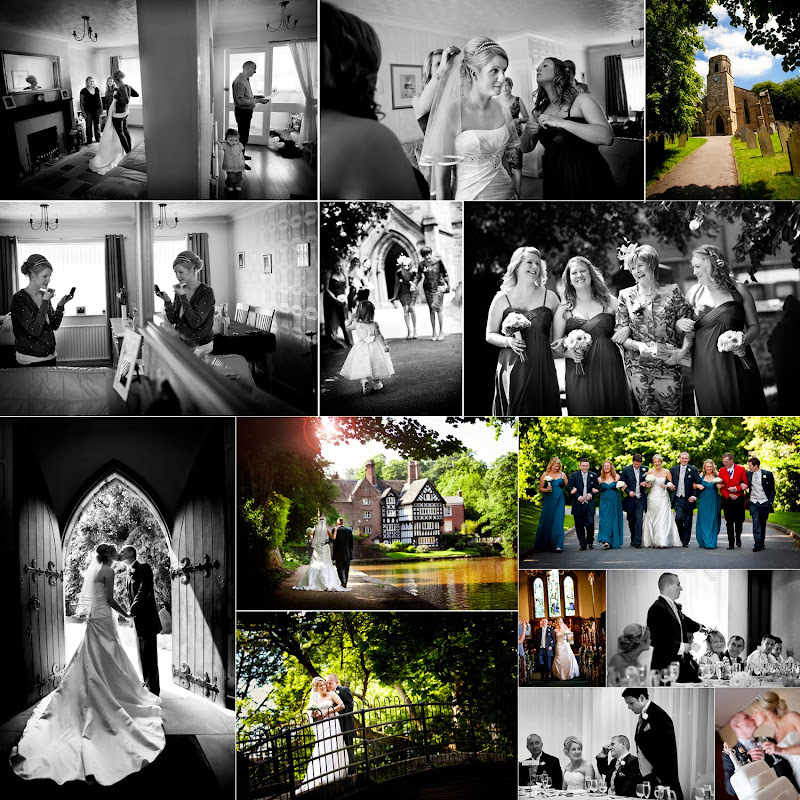 My aim was to provide photographs of a fairytale wedding with a quintessential English feel, after all the wedding was at Peckforton Castle in Cheshire (how much more English & fairytale can you get than a castle) & wow did we deliver. 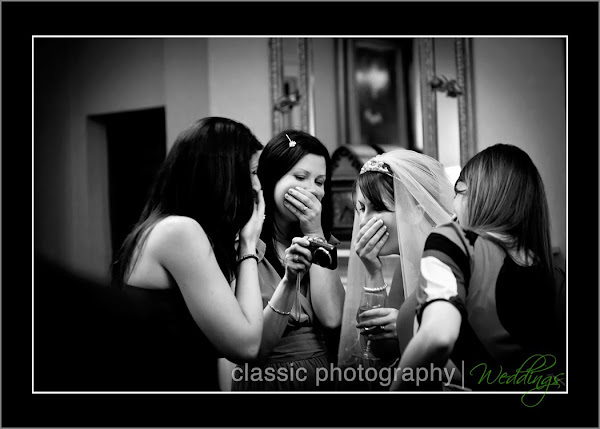 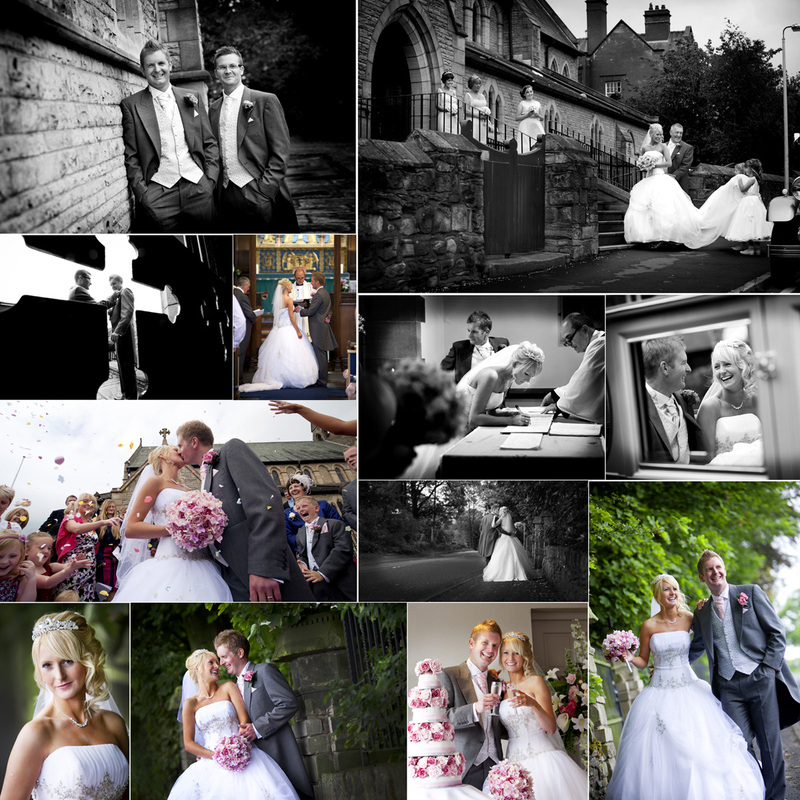 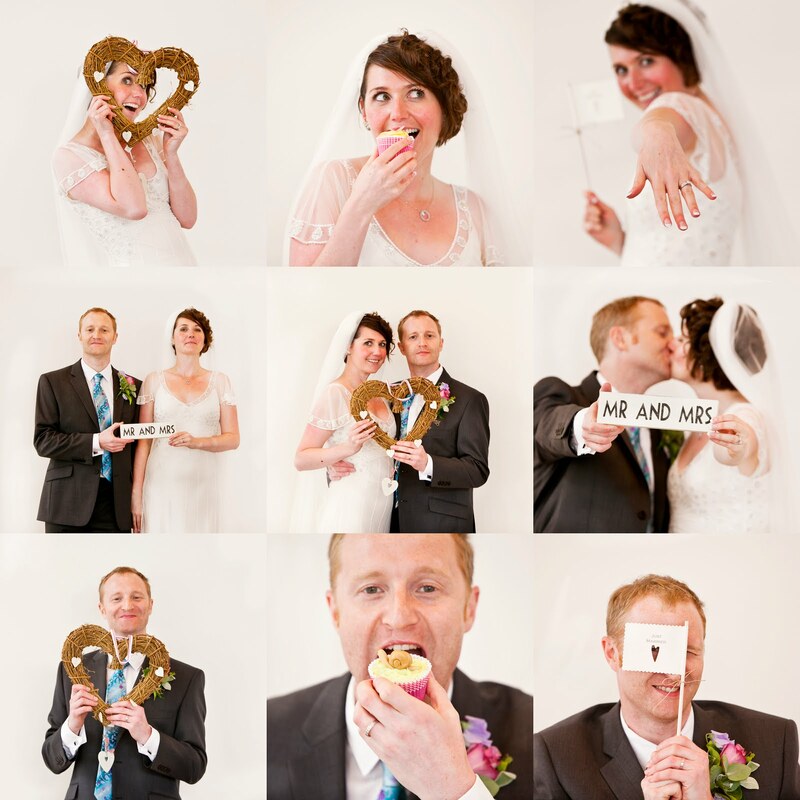 This was one of the most relaxed weddings I have shot with a real family feel to the day. 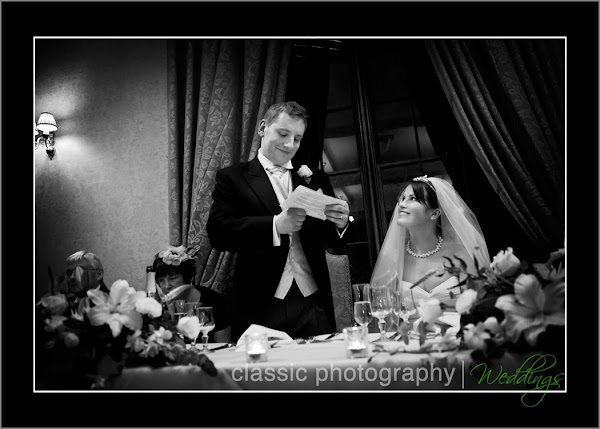 The Wedding Reception was at Wrightington Hotel & Country Club, another fave venue infact so nice the ‘infamous’ Classic Photography Christmas Party is held here. 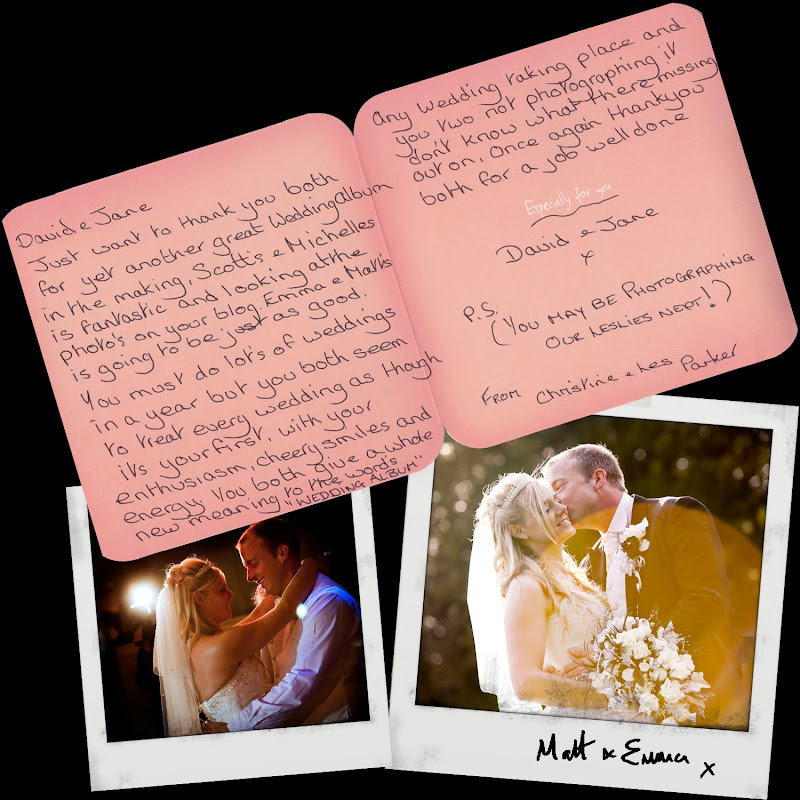 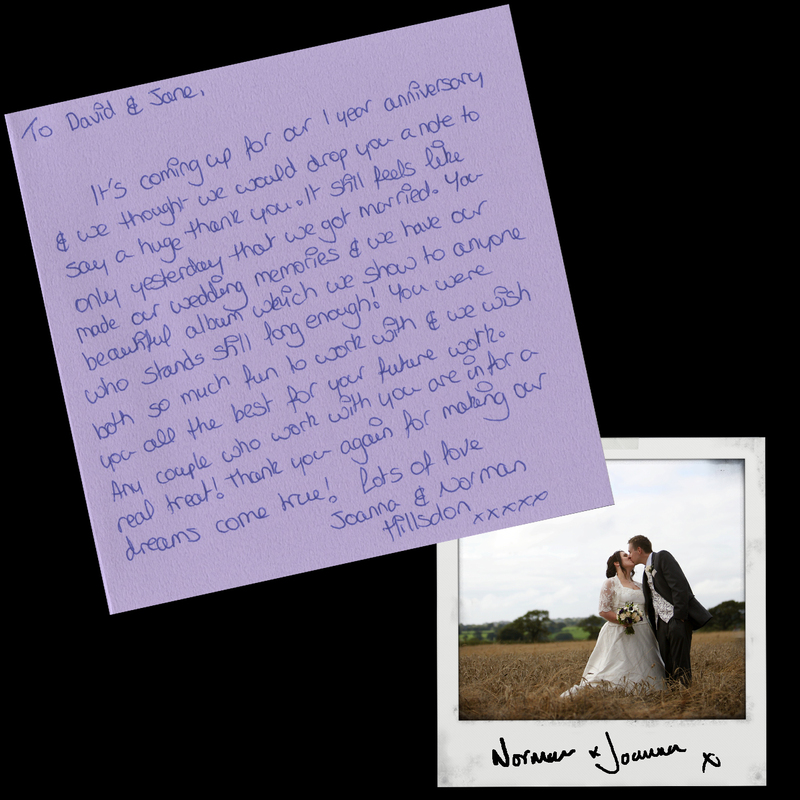 One thing that always makes me smile is when clients comment on our facebook page & for so long Suzanne has commented on our previous weddings & now its her turn to be in the limelight, so for that reason this was an extra special day. 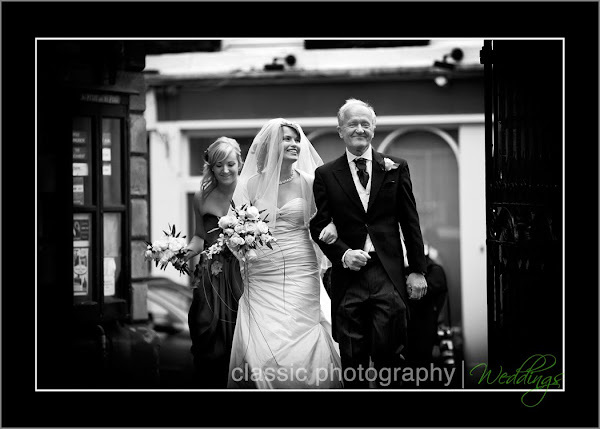 This was one of those 'FUN' weddings from start to finish David arriving full of excitement & a new walking cane & ending with tears of laughter at the speeches. 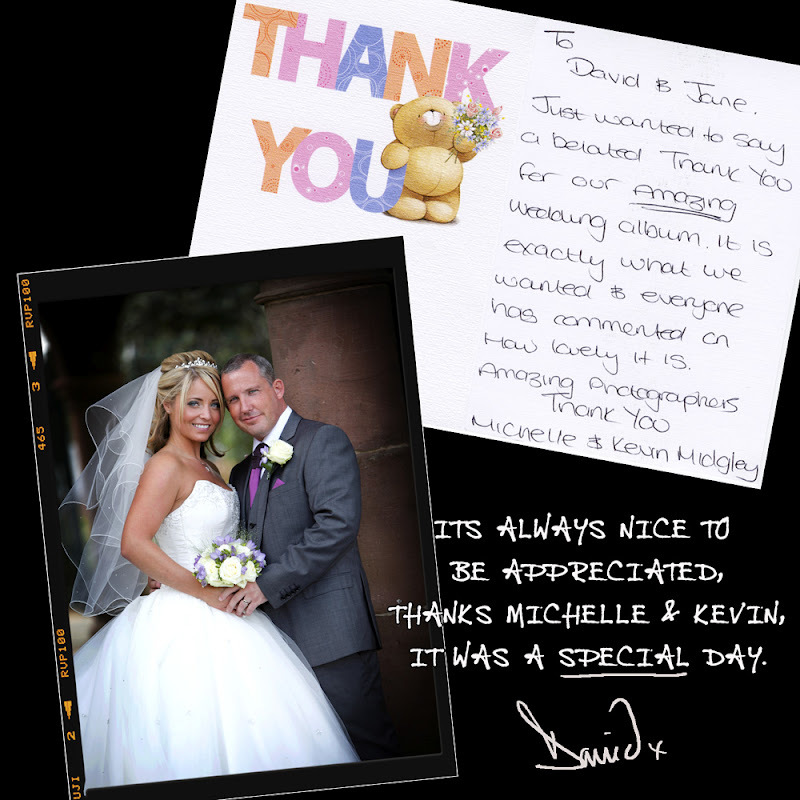 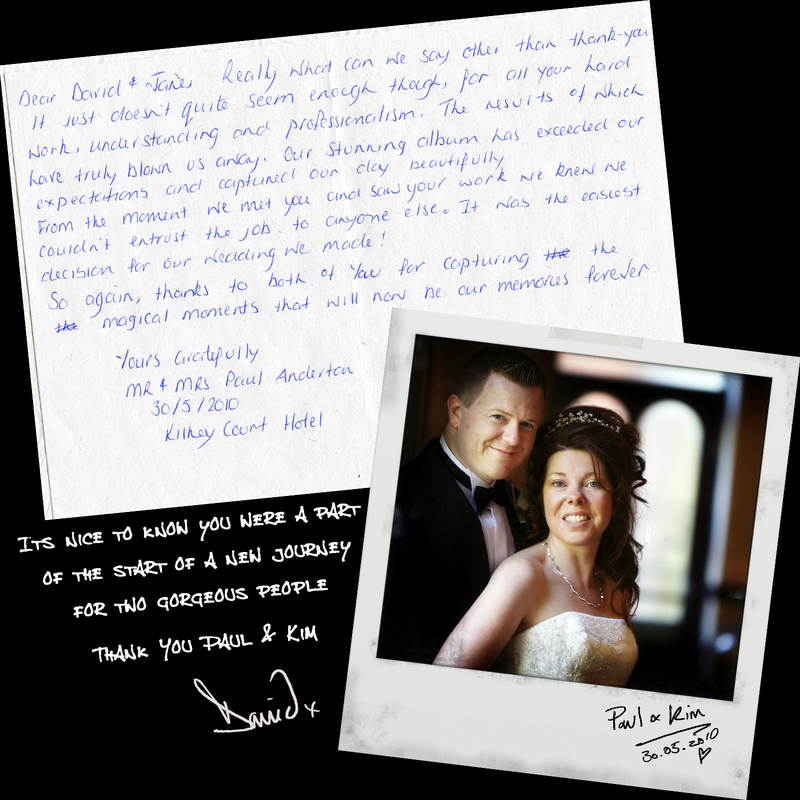 David & Denise are a fun couple & as the one liners flowed the day flew by. 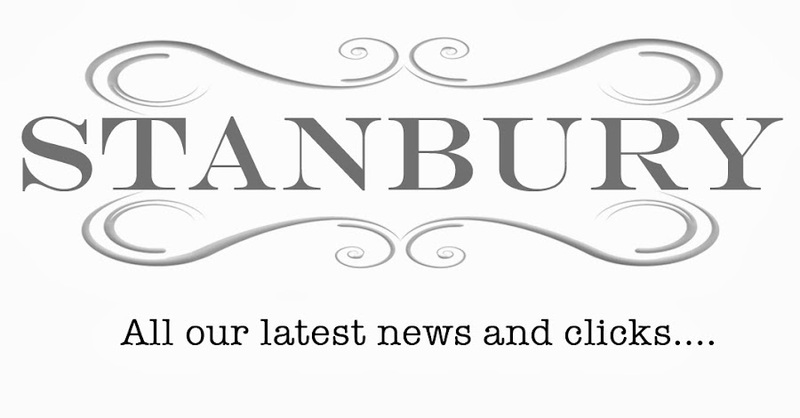 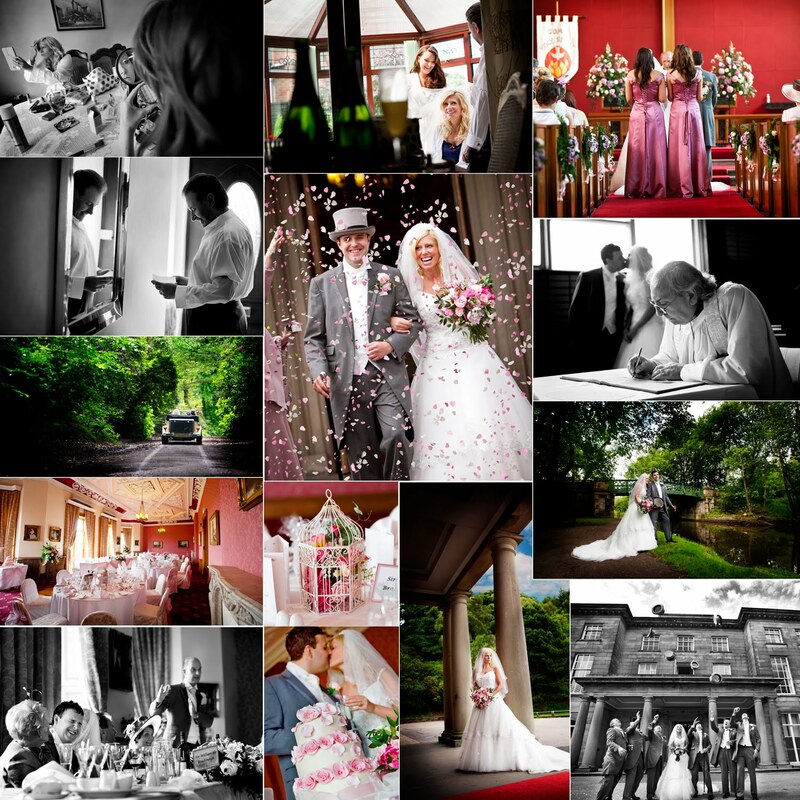 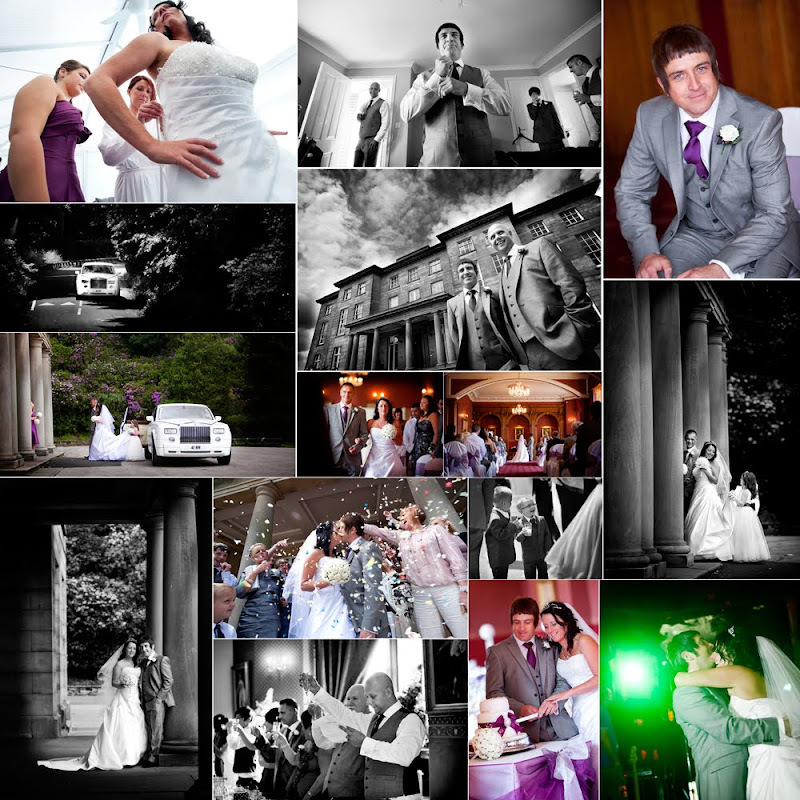 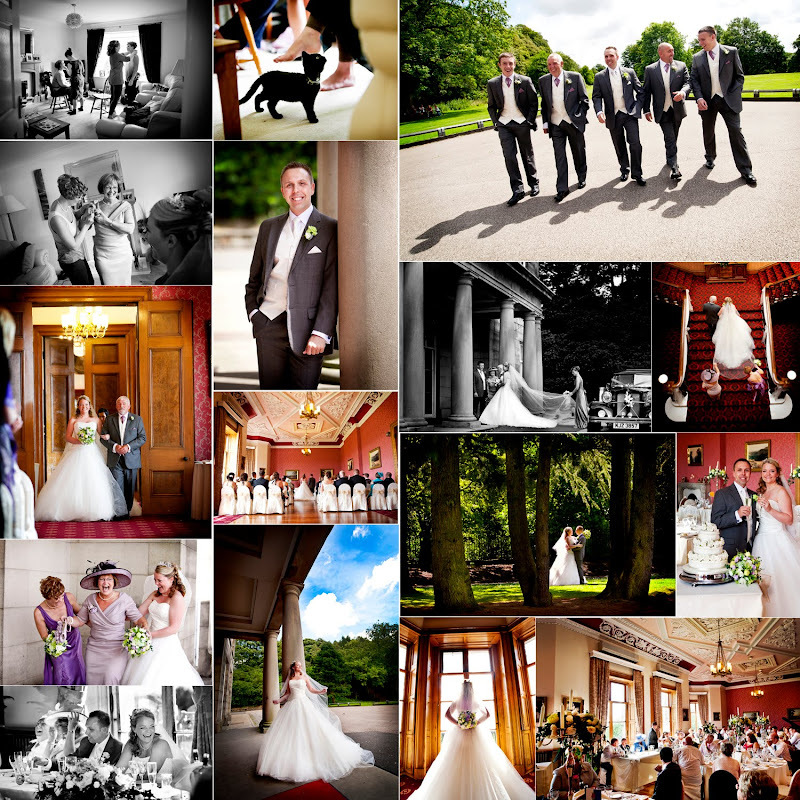 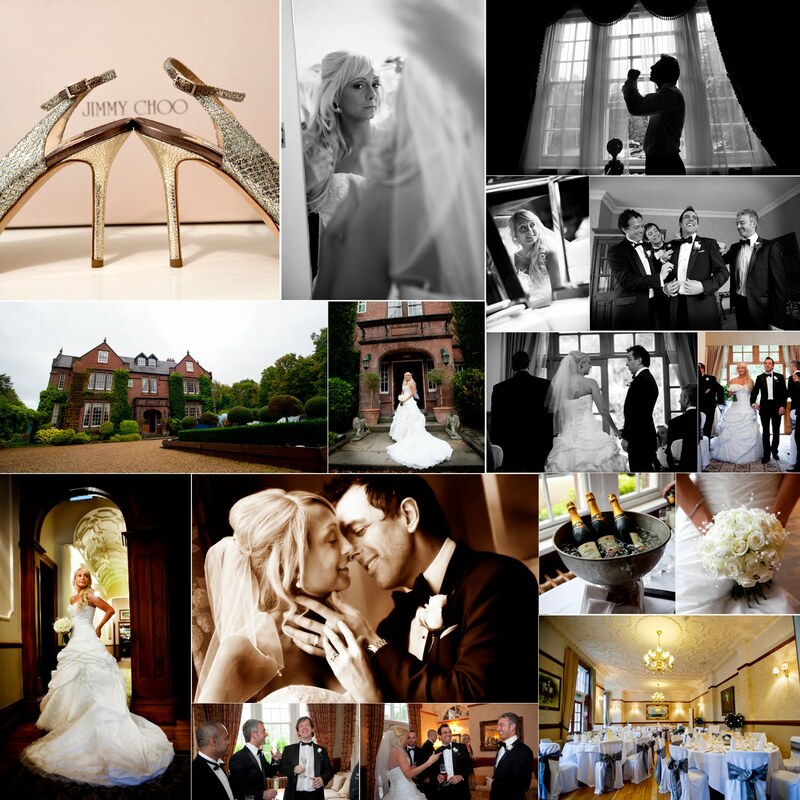 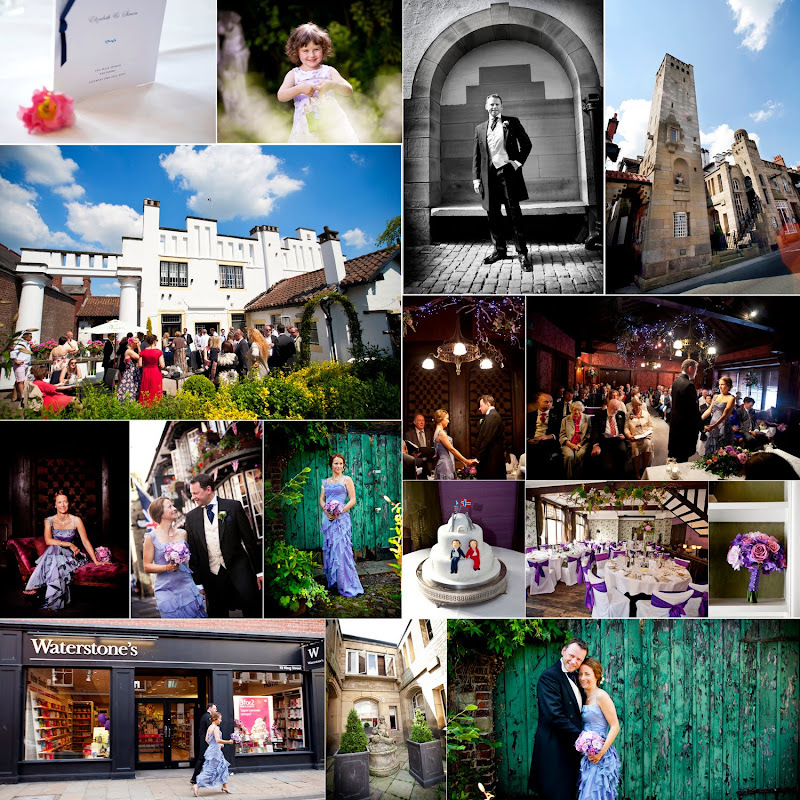 The reception was at Haigh Hall its so local to our home we can see it & is one of my face locations, great venue, very friendly staff & great food. 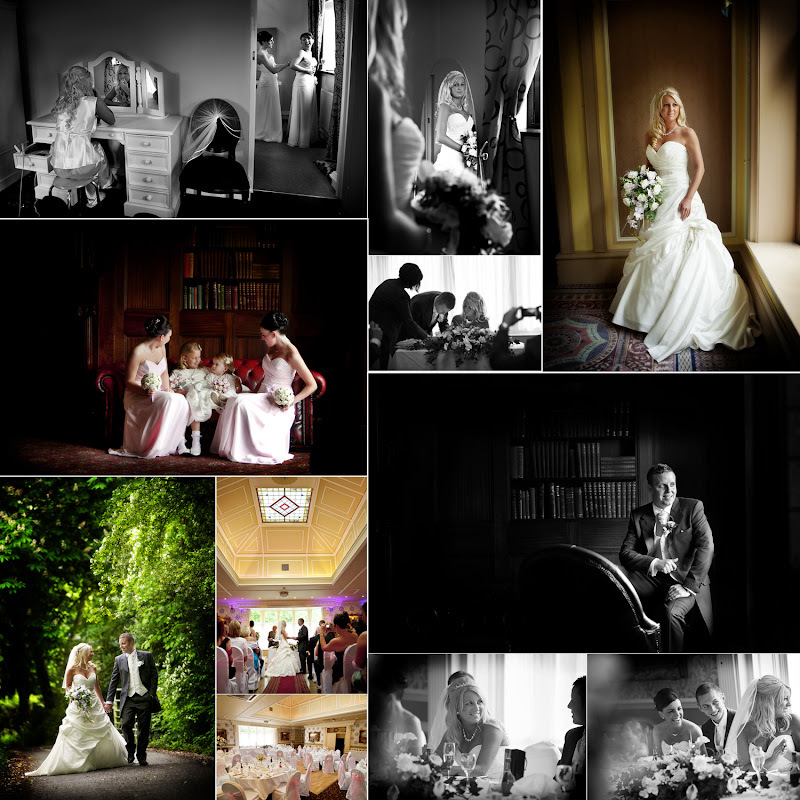 I have to say the light was superb all day, the colour gorgeous, David & Denise are fantastic wedding organisers, or as David said Denise did a fantastic job. I had been looking forward to photographing this gorgeous couple ever since the pre wedding shoot a few weeks ago, and it didn't disappoint. This was our first visit to Rowton Castle & it’s a gorgeous background for wedding photography but then again as Simon & Kathryn never stopped smiling & are so in love then we really couldn’t go wrong.